Stalažs A., Lāce B. 2019. Notes on records of Trochulus hispidus (Gastropoda: Hygromiidae) feeding with an exotic Gymnosporangium sabinae (Basidiomycota: Pucciniaceae) in Latvia. 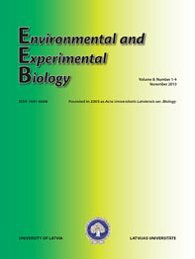 Environmental and Experimental Biology 17: 5–8. Fig. 2. 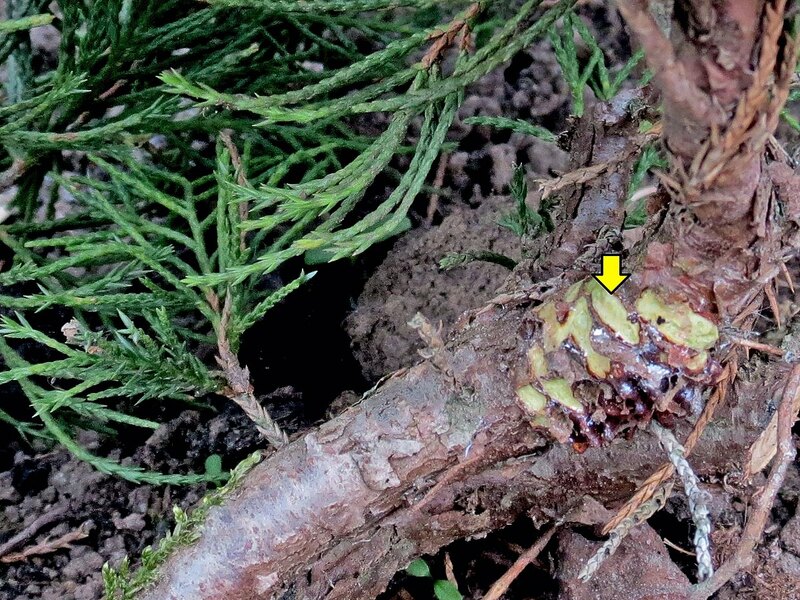 Telia structures on Juniperus sabina stem in its early phase of development completely consumed by Trochulus hispidus snails. The light spots shown with arrow are places where started development of initial Gymnosporangium sabinae telia structures (photo by B. Lāce on April 28, 2015).